Cold weather can have many adverse effects on health. For example, your metabolism has to work harder to keep warm, which may seem a good thing if you’re trying to lose weight. The down side, however, is that your immunity can suffer, partly because of decreased blood flow and immune responses in the nose – your first line of defence against respiratory viruses. In addition, bacteria and viruses can survive for longer outside the body when temperatures are reduced. Huddling indoors breathing dry, centrally-heated air also dries out the nose and reduces your defences, while lack of sunshine means you may have depleted levels of immune boosting vitamin D.
As a result, colds and other respiratory infections are four times more common during winter than during warmer months of the year. During Victorian times, respiratory infections such as tuberculosis were treated with cod liver oil and exposure to UV rich sunlight, both of which are now known to help boost circulating levels of vitamin D. Its protective effects are greater than you might think. Analysis of 16 clinical trials, involving over 7,400 people, has shown that taking vitamin D supplements can reduce your risk of experiencing at least one respiratory infection – including the common cold, influenza or pneumonia – by a third with positive benefits seen within as little as three weeks. In those whose vitamin D levels were initially classed as low, the protection was even greater, with vitamin D supplements reducing the risk of developing a respiratory infection by almost half compared with inactive placebo. By protecting against the viruses that cause colds and bronchitis, vitamin D can reduce the risk of a winter flare-up in people with asthma. A recent review of nine trials involving almost 1,100 adults and children, found that taking vitamin D reduced the rate of an asthma exacerbation and the need for oral corticosteroids by 37%. As a result, the risk of having to go to hospital was reduced by a massive 61%. New influenza viruses mutate every year and are most prolific during winter months when they can survive outside the body on door handles and discarded tissues for 24 hours or more. To help protect yourself, consider having an annual influenza vaccination. Your doctor can advise on whether or not this is suitable. Boost your natural immunity by eating a healthy diet and exercising regularly for good cardiovascular fitness. Avoid those who cough and sneeze to spread disease. Use antiviral tissues, wash your hands regularly and try to avoid touching your face, mouth, nose and eyes with your hands. Some scientists believe that lack of selenium is a “driving force” for influenza virus mutations, as when these viruses infect someone who is selenium deficient, the virus is more likely to mutate, become more virulent and cause more severe symptoms for longer periods. This may explain why so many new, heavy-duty influenza viruses emerge from Asia, where selenium intakes are among the lowest in the world. It may help to obtain selenium by eating two to four Brazil nuts per day as these are the richest dietary source of selenium. As a bonus, Brazil nuts also lower your cholesterol. Cold weather appears to make aches and pains worse, especially in those with arthritis, although the reasons why are poorly understood. In a study involving 25 people with osteoarthritis and/or rheumatoid arthritis, 92% said their symptoms were influenced by the weather, and when their pain and stiffness scores were checked against meteorological data, there was a strong correlation. One possibility is that changes in musculoskeletal symptoms are related to falling vitamin D levels, although this is controversial. Another factor could be that pain receptors become more sensitive when surrounding temperature receptors that detect cold become more active. A number of supplements and herbs reduce joint pain, with glucosamine and chondroitin, hydrolysed collagen, ginger, turmeric and krill oil among the nine best supplements for knee pain. Normally your body temperature is tightly regulated within the range of 36.5 to 37.5 degrees Centigrade, or 97.7 to 99.5 Fahrenheit. Hypothermia occurs when body temperature drops below 35 degrees Centigrade/95 degrees Fahrenheit. Hypothermia is sometimes called a “silent killer” as many victims are unaware they are at risk. Older people, in particular, are more sensitive to the effects of falling temperature and are less likely to register when they are cold. Temperatures do not even have to be below freezing to cause hypothermia. One in 10 people over the age of 65 are unable to regulate their body temperature efficiently. 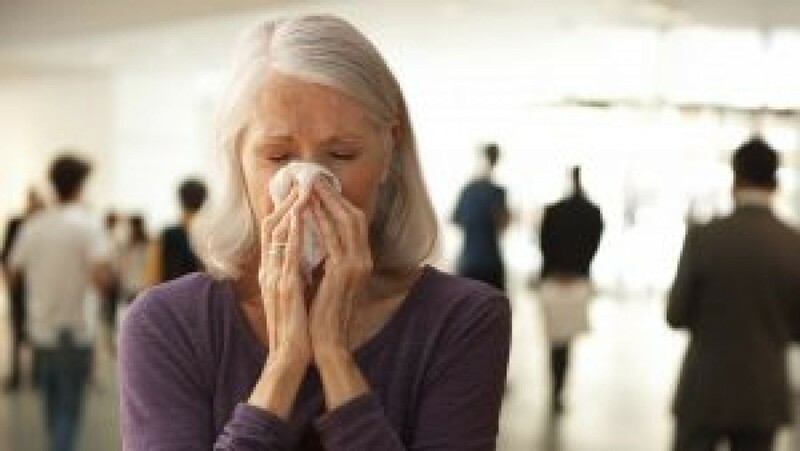 Typical signs such as the shivering response may also be absent in the elderly. People in countries with mild climates, such as the US and UK, are less prepared for cold weather than those living farther north. In Ireland, for example, there is 30% increase in deaths during a cold winter, compared with just two percent in Scandinavia although cold weather is not often included on the death certificate. Hypothermia is recognised as contributing to 30,000 deaths per year in the UK, although in the USA only 700 deaths are attributed to this cause every year – possibly because many deaths are attributed to a heart attack instead. Interestingly, one study found that men were 30% more likely to die from hypothermia than women, and that single men and single women were 6.5 and 4 times more likely to die from hypothermia, respectively, than married men or women. Snuggling up and sharing body heat is of paramount importance. Insulate your home, wear layers of warm clothing during both day and night and use extra blankets on your bed. Arrange for those who are vulnerable – frail or elderly living alone – to be checked on regularly. Carbon monoxide is a colourless, odourless, tasteless, non-irritating and therefore undetectable gas. It leaks from old motors and poorly maintained heaters and cooking equipment and can kill. Carbon monoxide binds 200 times more tightly than oxygen to the red blood pigment, haemoglobin. It therefore displaces oxygen from circulating red blood cells to form carboxyhaemoglobin which imparts a health, cherry-red glow to the cheeks. As a result, the tell-tale blue (cyanosis) that usually signals lack of oxygen fails to cause alarm in those finding you, apparently sleeping peacefully, in your bed. Exposure to carbon monoxide is the most common cause of lethal poisoning worldwide and can affect anyone in a confined space contaminated with fumes. Epidemics of carbon monoxide poisoning occur in winter months, and often occur at night, during sleep, when fumes leak from a poorly maintained heater or boiler. Mild poisoning causes headache, dizziness, irritability and confusion. Suspect this diagnosis if symptoms rapidly clear on breathing fresh air, especially if two or more people are affected at the same time. Recommendations include having chimneys and flues cleaned and checked regularly and having gas appliances and heating systems professionally inspected every year. Also, never run cars, motorbikes or lawnmowers in a closed garage. Finally, be sure to fit a carbon monoxide alarm. Heart attack is the Number One killer in the Western world and the incidence spikes during cold winter months, when the risk of arterial spasm increases. Unusual physical exertion such as shovelling snow, is also a factor. This is yet another reason to stay warm, maintain regular gentle physical exercise and follow a heart-friendly, healthy diet and lifestyle. The post How Cold Weather Can Affect Your Health After 60 appeared first on Sixty And Me. The post How Cold Weather Can Affect Your Health After 60 appeared first on Best Homecare Tips. You might remember air travel in the 1970s: it was elegant, novel – and you were much younger! I never worried about swollen ankles, but now that I’m in my 60s, I have noticed a puffiness after long-haul flights. With not much legroom to stretch out and few opportunities to get up, there is a chance your legs might swell up. For the past few years, I’ve worn Scholl’s support hose to prevent any swelling. These natural-coloured stockings don’t look any different from other pantyhose, though in the early days they were ribbed and funny coloured. I wear a half-hose with ordinary socks over them so I can peel off either layer as I need to. They work a treat: after both recent long-haul trips, I didn’t have any swelling to my ankles or feet. As well as being an extreme light traveller, I never drink alcohol on a plane: it’s too dehydrating. Instead, I drink plenty of water. On this recent flight, the stewards refilled our water bottles all the time, which was most welcome. Don’t you hate it when customs makes you throw away the water bottle you’ve just bought? To combat that, I travel with a roll up water bottle. I empty it before customs and fill it up again on the other side so that I have plenty of water going on board the plane. I used to measure flights by the number of movies I watched: “This is a five-movie flight,” I’d tell my friends. These days I prefer not to watch movies, giving my eyes a rest from the dry airline atmosphere. Instead, I wear my wireless headphones – did you know you can hook up your own headphones to the airline headphones’ jack? – and drift off listening to audiobooks. The minute I get on board the plane, I put on a face mask. When I wear a mask, I feel cocooned from the privations of long-haul flying. I noticed on this recent trip that the skin under my mask was well hydrated. The skin on my face that was exposed to the cabin air dried out far quicker. Wearing a mask, plugging in good headphones, and using a neck cushion, which I hadn’t used since the airlines introduced headrest cushions, creates a barrier between me and what’s happening around me in the cabin. I withdraw into my own little world. In addition to the face mask, I wore the airline eyepatch on this trip. This tool was terrific as it cut out the light and made me feel even more cocooned and private. I topped all of this off – literally – with my hoodie. Imagine me: face mask, eyepatch, headphones and hoodie – tucked into the headrest. No one was going to disturb me – let alone recognise me! So, what was the outcome? On the way to South Africa, I managed a good few hours of sleep, which meant I started my holiday feeling fresh. On the way back, I dozed and relaxed – somehow sleep evaded me, but I was as comfortable as a bug in a rug! 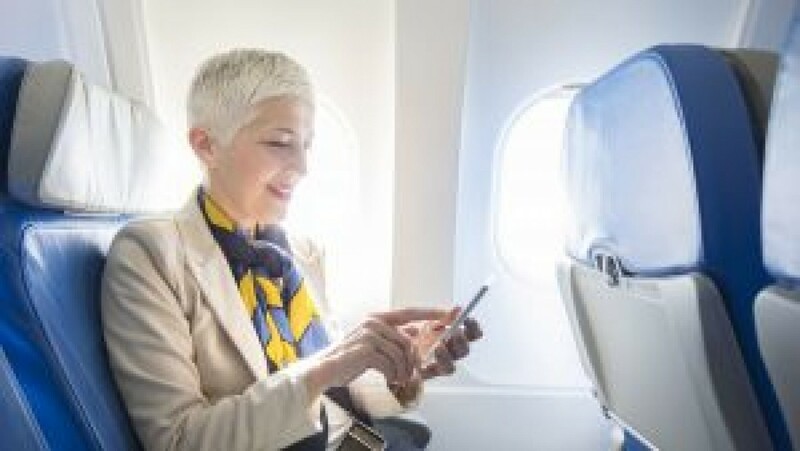 The post Senior Travel Tips: 5 Ways to Feel Comfortable on a Long-Haul Flight appeared first on Sixty And Me. The post Senior Travel Tips: 5 Ways to Feel Comfortable on a Long-Haul Flight appeared first on Best Homecare Tips. At the first stage of retirement, the transition stage, it is sometimes difficult to remember what day of the week it is when you wake up. For me, my pill box is my first reminder! A friend once told me that retirement meant that every day was Saturday. How Do You Keep Track of the Days? When you first retire, you may find that not having to jump out of bed and get dressed to go to work is wonderful. You can just sleep in, enjoy waking up, and stay in your PJs and robe while having that first cup of coffee, relaxing in your favorite chair. Is that the time for you to clear your head and think about what the day will bring? Or do you just enjoy not having to think about doing anything? In the early stage of transition, the lack of a schedule can be somewhat daunting as you may feel that your life no longer has the same meaning as it did while working. If you had a full work schedule, the lack of one after you retire can cause you to feel depressed and getting out of the house – challenging. This can be even more of an issue if you had a job as a manager, boss, or professional with a full schedule. Now you wake up and find the schedule empty. I know people that woke up the day after retirement and just stared at an empty calendar, frozen! This is certainly not always the case, but for many, the loss of a schedule is one of the first things to deal with post retirement. Here are a few ideas to get your schedule going. It can be fun to realize that you can still have a pretty full schedule if you start entering the various activities you are doing. This is not just filling it up with doctor appointments! Everything from meeting with friends, going out to events or dinner parties, exercise, favorite sporting activities, and time with children and grandchildren. In addition, are you involved with local organizations like Rotary, religious groups, activity clubs like golf, swimming, tennis, or charitable groups? Participation can allow you to utilize your skills to help these organizations and give you satisfaction in doing good for others. Another idea is to have discussions with your significant other about what activities they would like to do and find things you can do together. I also suggest to couples to mark one day a week as a “private day,” one that each of you keep open for time to share together. It can be fun to alternate who chooses what to do on that special day, and they have to make all the arrangements. In addition, look out past the first month or two and start planning for trips to visit family or just go have fun. Do You Have an Identity Crisis? Many retirees also experience a change of identity when they leave their job. In some cases, a crisis may ensue which can also be a hinderance to creating a schedule, especially in those instances when you had an assistant to fill up your calendar for you. Your identity may have been tied to what you did. When someone asked, “What do you do?” What was your answer? If it started with, “I am a…,” you may now find the early stage of retirement difficult as you have lost your identity and no longer know what to answer when asked that question. Defining your new position in life may be one of the most challenging issues when you first retire. Does retirement mean that you have become brain dead and cannot carry on normal conversations? Are you afraid that people will change the subject to the weather when they find out you are retired? I can remember a time when my wife was not working outside the house. She would often share that at parties or other gatherings, when she was asked the question and she said she was a “stay at home mom” the conversation almost always changed to the weather or general topics. The post Is Every Day Saturday When You Are Retired? 3 Ways to Keep Your Schedule Interesting appeared first on Sixty And Me. The post Is Every Day Saturday When You Are Retired? 3 Ways to Keep Your Schedule Interesting appeared first on Best Homecare Tips. Finally, you have reached the age when you are beginning to think about downsizing. Perhaps you have familiarized yourself with all the practical and even emotional difficulties involved and have decided you are not quite ready to take the plunge. Is there anything you can do in preparation for the eventual day? Few people reach their 60s without accumulating a lot of things they know they could throw or give away without great loss. There are the clothes that don’t quite fit, but might do so if you lost those extra pounds that you are working on. There are the gifts that you never use, but have sentimental value because of the friends who gave them to you. And then there are the books. If you like to read, you probably have books all over your house or apartment. Perhaps you sorted through them 10 years ago (or longer) because you had moved then or simply had a fit of eagerness to clean up. In any case, there they are, in piles here and there – in the living room, by your bedside, in odd corners, including some in the bathroom. Whatever cataloguing system once existed has probably long lost any cogency. When you are looking for a book you know you own, you get annoyed because it is nowhere to be found. You have long thought that books don’t take any space, but you know you are kidding yourself. Indeed, for years, you proudly collected books to make your home feel properly lived in and loved. Each addition was like another brick to a house. Perhaps it is time to cull. Deciding to get rid of books is harder than you might think. There are the books you always meant to read and are sure you will get to one day. There are those you started, but then stopped, and you like to think you will indeed finish them. There are some you may be keeping for the children or for when you are sick and need something not too demanding. There are a lot of reasons to keep books. And, if you are anything like me, it is a dusty job. You keep the house generally clean, but how often do you pull out the books one by one? So not only is it an emotionally difficult business to decide to give away books, but it is also a physically unpleasant one. Every reason not to do it. But go for it, nonetheless. It is possible, of course, to simply go to any shelf and pull out books you don’t really want any more. I would urge you to do it more systematically. If you have a lot of books, mentally divide them into categories – perhaps something simple like fiction versus non-fiction, but you might have more elaborate sub-categories. Start with just one. Search your house for all novels, say, and put them in one place. Then, to feel productive, put them in alphabetical order (and remove any duplicates of books you bought a second time, because you forgot you had them in the first place!). Then begins the difficult part. You know how old you are, and you know how many books you tend to read in a year. You can guess that however good your intentions, there are a set of books you will never re-read or read for the first time. Put them in a separate pile. Then look again and find some more. Continue in the same vein with other categories. Depending on the size of your collection, this may take a few days. You should find yourself with a few cartons of books at the end of the process. Dust the shelves, and put the books back in some organised system that pleases you. Offer the discarded books to friends, family, charity shops or even to passers-by. There, you have done it. Believe me, there are gains. In the first place, your rooms immediately look cleaner and tidier. With luck, there are no books piled on the floor, and you may even gain space for that knick-knack you were wondering where to put. Also, you know where your books are, next time you are looking. Put them on your bedside in an inviting pile. Take one out and pour yourself a glass of wine. The post Downsizing Dilemma: Why Getting Rid of Books is So Tough appeared first on Sixty And Me. 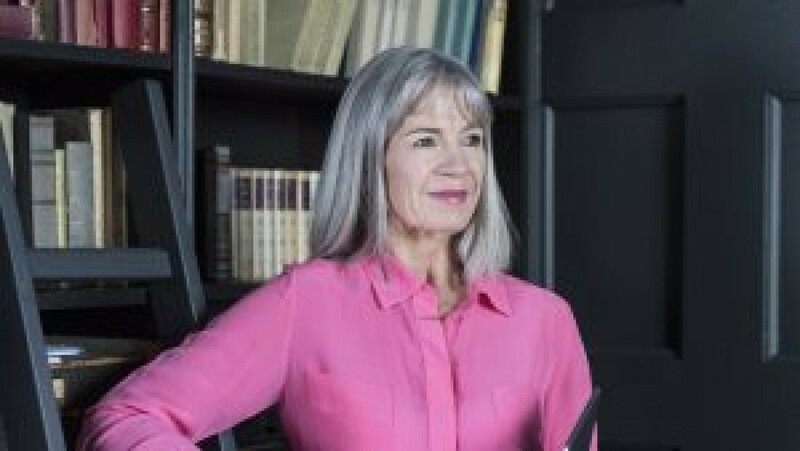 The post Downsizing Dilemma: Why Getting Rid of Books is So Tough appeared first on Best Homecare Tips. 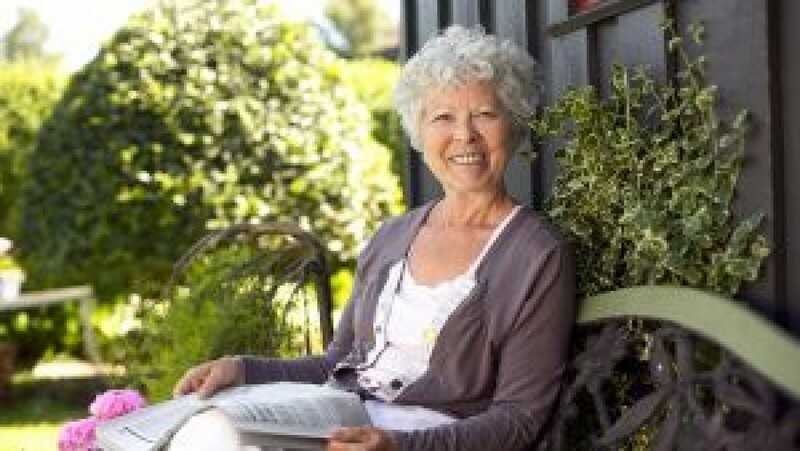 Downsizing After Retirement: House, Apartment or Retirement Community? Retirement is a new chapter in life, and many see it as a chance to try something different and exciting. These days, some retirees decide to move out of their hometown and try a new destination. Others decide to downsize to free up money and space as they enter this new era. Downsizing after retirement is a big change. Owning a home has been hardwired into the American dream, but home ownership without a predictable stream of income can become very expensive and overwhelming. To optimize your retirement years, you might consider downsizing into a smaller home or apartment to minimize costs and increase quality of life. 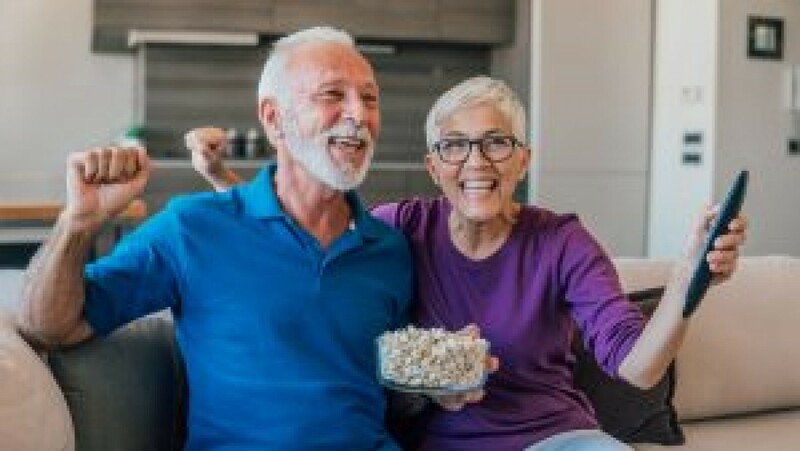 Retirement communities open up a totally new living experience that automates all aspects of home maintenance and provide a way to meet new friends. Deciding about your preferred type of home for retirement depends on non-financial needs as well. Talk to your partner and have a clear goal of what type of life you want before deciding on the style of home you’ll downsize into. All the while you should make sure that your emotional needs are also being met. Estimate your cash-flow needs, and set a budget for renting vs. home ownership, net of taxes, etc. Compare relative costs of home prices vs. monthly rents vs. retirement community fees. Compare costs of current home maintenance, property taxes, insurance and HOA fees. Consider where you want to live: Same city? Closer to grandkids? Somewhere warm? free to expand, build pool, etc. Downsizing After Retirement Dilemma: Buy or Rent? When it comes to renting vs. buying, first decide whether you view your next home as a potential investment opportunity or just another cost of living. Setting realistic goals to appropriately plan for your retirement housing costs will help you decide whether you buy or rent. Buying will give you a long-term mortgage with full control of improvements, maintenance, repairs, renovations. You will be financially responsible for insurance, taxes, maintenance, utilities, landscaping, cleaning, repairs and so on. This is definitely a long-term commitment. Renting offers low maintenance costs where monthly expenses remain predictable. The landlord is responsible for repairs, maintenance and taxes, and it is a short-term commitment. When the moving process begins, break all possessions down into categories. These are keep, sell/giveaway and discard. Don’t make the mistake of giving away essentials: cleaning products, shower curtains and towels you’ll need on day 1. Study the floor plan of your new home to evaluate the amount of furniture and items that fit in each room. Take the time to choose the most functional and special pieces you will still utilize. The post Downsizing After Retirement: House, Apartment or Retirement Community? appeared first on Sixty And Me. The post Downsizing After Retirement: House, Apartment or Retirement Community? appeared first on Best Homecare Tips. Strokes are serious and can be deadly. Being familiar with the signs of stroke and responding quickly can save your older adult’s life or reduce their chance of developing major disabilities. Stroke is the 5th leading cause of death in the United States, affecting about 800,000 people each year. It also causes more serious long-term disabilities than any other disease. We explain what a stroke is, common stroke survivor disabilities, a handy shortcut to recognize the top signs of stroke, additional signs of stroke, and what to do if you notice signs of a stroke. Think of a stroke as a “brain attack.” It happens when blood flow to an area of the brain is cut off. That deprives brain cells of oxygen and those cells begin to die. When brain cells die during a stroke, abilities controlled by that area of the brain are lost, like memory and muscle control. 25% of stroke survivors end up with a minor disability and 40% have moderate-to-severe disabilities. They’re often left with physical weakness, speech impairment, and unusual muscle tightness. These impairments can affect the ability to communicate, walk, eat independently, bathe, dress, and independently complete other activities of daily life. Use these initials to remember the key signs of stroke and how to respond. F = Face drooping on one side. Ask your senior to smile – is it uneven? A = Is one Arm weak or numb? Ask them to raise both arms – is one arm weak? S = Speech problems like slurring, inability to speak, being incoherent. Ask them to repeat a simple sentence like “The sky is blue” as a quick test. T = Time to call 911. If you see any of these signs, even if the symptoms don’t last, call 911 right away and get to the hospital ASAP. Check the time so you can tell EMTs and doctors when the symptoms started. If you notice any of the signs of stroke, call 911 immediately. Speed is very important. The faster your senior gets to the hospital for treatment, the better their chances for survival and recovery. If the stroke symptoms pass quickly, your older adult might have had a transient ischemic attack (TIA), which is caused by a brief blockage of blood flow to the brain. Don’t ignore a TIA, it’s a warning sign of future, more serious strokes. Early treatment and lifestyle changes can prevent a major or fatal stroke. 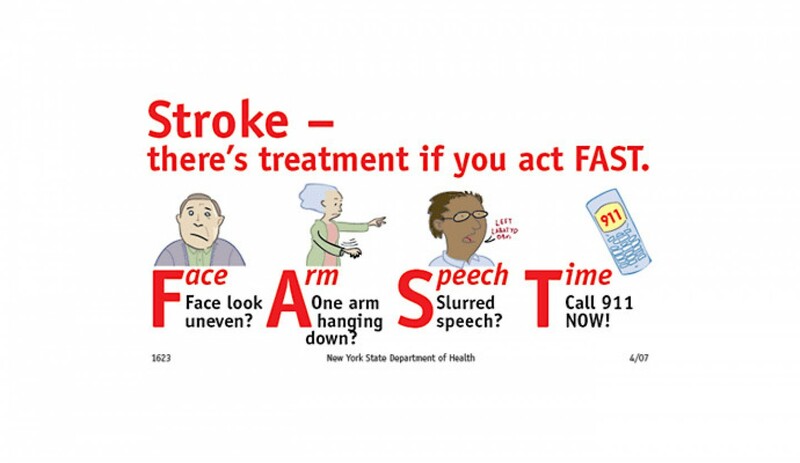 The post Recognize Signs of Stroke and Act F.A.S.T. appeared first on DailyCaring. The post Recognize Signs of Stroke and Act F.A.S.T. appeared first on Best Homecare Tips. What is Alive Inside about? Alive Inside is a documentary that follows Dan Cohen, a social worker and founder of the non-profit organization Music & Memory. The film is a valuable reminder that even if someone with dementia doesn’t communicate often, they’re still alive inside. Dan visits nursing homes across the country and shows the powerful positive effect of music on seniors with dementia. Normally uncommunicative seniors sometimes start singing, dancing, or speaking. Dan and the filmmaker also talk with family members who have seen firsthand how music has deeply affected their older adults. We describe who would enjoy watching Alive Inside, share touching moments from the film, explain why it’s so important, and link to how to watch it. Who would enjoy watching Alive Inside? Anyone caring for an older adult will get something out of this movie. It’s a valuable reminder that even if older adults don’t speak or act like they used to, they’re not empty inside. Families caring for an older adult with Alzheimer’s or dementia will especially relate to this film. Even though the topic is a bit sad, we think you’ll feel uplifted and inspired to play your older adult’s favorite tunes for them. Bring tissues! You’ll tear up in at least a few of these moving scenes. It’s amazing to watch happy expressions spread across formerly blank faces as these seniors listen to their favorite songs. In one moving scene, we watch as 94-year-old Henry, in an advanced stage of decline, listens to his favorite singer. The music brings him alive again! His eyes are alert, he sways to the beat, he sings along, and even answers a few questions. Why are movies like Alive Inside important? It’s important to demonstrate how effective inexpensive, non-drug methods can be in reducing challenging dementia behaviors. Learning about these types of techniques may inspire people to try music, art, dance, or other creative approaches to connect with people with dementia and improve their quality of life. Groups or organizations can request a screening at their location. The post Music Has a Powerful Positive Impact on Seniors with Dementia: Alive Inside appeared first on DailyCaring. The post Music Has a Powerful Positive Impact on Seniors with Dementia: Alive Inside appeared first on Best Homecare Tips. Like many things in life, group and solo travel have their good and bad points. As our today’s guest says, trying to pick one over the other would be like trying to “Choose between day and night.” If you have had a trip in mind but are unsure which travel style you should choose, or are looking for some encouragement to take the big leap, today’s video with Shila Desani might be what you’ve been waiting for! In today’s Sixty and Me video, Margaret Manning and travel expert Shila Desani discuss the pros and cons of group and solo travel, as well as where you can look for inspiration or a great deal for your next bucket list adventure! Traveling in a group on an organized has many advantages, and a couple of things to consider before committing. One of the best aspects of group travel is you are signing up to spend time with people that are like-minded, with similar interests. This might not be appealing to some, but for those of us that enjoy sharing experiences with others, it can be one of the most appealing aspects of group tours. It’s an opportunity to connect with people on a deeper level about something you enjoy – be it food, architecture, art, or anything your adventure brings! If you are particularly concerned about being stuck with people you don’t like, it’s reassuring to know that good group leaders are highly adept at making sure everyone is comfortable with one another. Group sizes are also designed to ensure there will more than likely be someone you get along with! 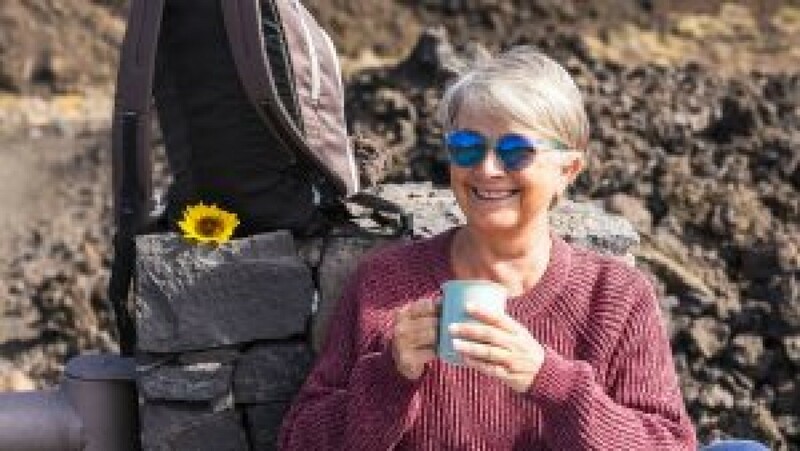 As Margaret points out in today’s Sixty and Me video, when it comes to travel for mature women, having the resource of a group leader as well as a group of people there to support you often means you will take the plunge and try things you might not risk if you were traveling alone! For ladies that love freedom above all else, solo travel might be the best style of adventure. It means having the freedom to explore each destination at a pace that suits, without having to leave somewhere early, or be stuck somewhere boring for longer than necessary. It does take a particular type of traveler to tackle solo travel – even Shila acknowledges that “Solo travel does require a great deal of courage,” so it’s probably not a suitable style of travel for women over 60 that aren’t likely to step outside of their comfort zone. It’s not just about being comfortable walking the streets of a strange city late at night or worrying about personal safety – it can also be about something as simple as not being comfortable asking for directions. One of the biggest pluses about solo travel is the massive sense of accomplishment and achievement during and after a trip. It can be a huge confidence booster, and the reminder you need to know you can achieve anything, regardless of your age! Journeywoman – this site covers sole or group travel for women. It has travel tips, and a newsletter with lists for group and solo travel published monthly. Grownup Travels – this site aims to provide information and inspiration for travelers over the age of 45, with wonderful articles and photo galleries that might give you the ‘light-bulb moment’ you’ve been looking for! Eat Your Heart Out Tours – this is Shila’s travel site, with tours for older travelers looking for more in-depth, immersive traveling experiences that bridge the gap between Eastern and Western cultures. No matter where your interests lie, there are so many tours out there, and destinations that have opened up, that you are bound to be spoiled for choice once you start looking! The post 3 Brilliant Ways To Make Travel Over 60 An Unforgettable Adventure appeared first on Sixty And Me. The post 3 Brilliant Ways To Make Travel Over 60 An Unforgettable Adventure appeared first on Best Homecare Tips. As time goes on, we may find entertaining guests less attractive, even overwhelming. We may not have the energy or the inclination to prepare a full dinner party for a large group, nor the extra cash to foot the bill. But we still want to stay in touch and spend time with our dear friends. A vital social life and time with those whose company we enjoy is important to maintain a healthy outlook. We need to stay active and engaged at this stage of life, and a well-planned potluck can offer a viable option. We’ve all suffered through bad potlucks, dried out casseroles, and strained conversation. That’s not what we’re talking about here. With a little inspiration and imagination, you can host a truly engaging evening that everyone can enjoy, without killing yourself in the kitchen. Here are some unique ideas on how to make your potluck more about the connection so everyone enjoys themselves, even the host. The most important ingredient for a successful potluck is the people. It is best to keep your guest list fluid. Don’t invite the same 12 people to every party. Add new friends, mix it up, and seek out interesting characters to add spark and stimulating conversation. Be sure to introduce everyone, circulate throughout the evening to be sure guests are mixing and meeting those they don’t already know. Have some fun with wording and graphics, use quotes, quips, and images that convey the spirit of the evening and get everyone in the mood. These delightful and often fancy offerings have fallen out of favor in recent years, replaced by more casual offerings. But there is something rather elegant about a tray of tiny, artfully decorated treats that can elevate your get together to a new level. If you really want to get into the mood, encourage everyone to come decked out in the fashion of the era. A fedora, some fancy costume jewelry, or an old faux fur stole goes a long way toward setting the stage. Dim the lights, put on some Frank Sinatra, and see what happens. Bake some russets and enlist your guests to provide creative toppings. Encourage them to reach beyond the typical butter, chives, and sour cream to ingredients that push the boundaries of what compliments the hearty but pale pallet of the humble potato, transforming it into a complete and delicious meal. Invite each guest to bring a dish and a piece of music they would want to enjoy every day while marooned on a deserted island awaiting their rescue. During the evening, ask guests to play their music and present their dish, explaining why they selected each item. This evening is all about introducing people to each other. Keep it simple, grill some steaks, and invite a small group of close friends. Ask them to invite a friend from outside your usual guest list and bring along a side dish. You’ll expand your social circle and may even create an opportunity for some new friendships to blossom. Keep it casual, leave plenty of time for mingling before and after dinner. Set a large communal table with food passed family style so everyone can get to know one another throughout the evening. Set the time for later in the evening, pop a bottle or two of bubbly wine and invite your guests to contribute a small sweet treat. This idea is especially fun around the new year or Valentine’s Day, when everyone is feeling a little indulgent anyway. An intimate gathering can be made more romantic with a variety of glowing candles, some fancy plates, and linen napkins to embellish the setting for the delicious desserts. A take-off from a children’s lesson about generosity, a gratitude soup evening is about appreciating what each guest brings to the night. The host prepares a large pot of stock and everyone brings something to enrich the soup. Guests gather in the kitchen as the meal comes together, taking turns relating something for which they feel grateful. They can tell a story, recall a special memory, read a poem, or any number of other options. The point is to share in the spirit of gratitude for what we each contribute to life’s experiences. Potlucks can be an enriching, interesting and enjoyable way to deepen connection and form friendships. All it takes is a little effort and a genuine desire to bring people together. The post Potlucks for Boomers: 6 Creative Ideas for Hosting a Culinary Connection appeared first on Sixty And Me. 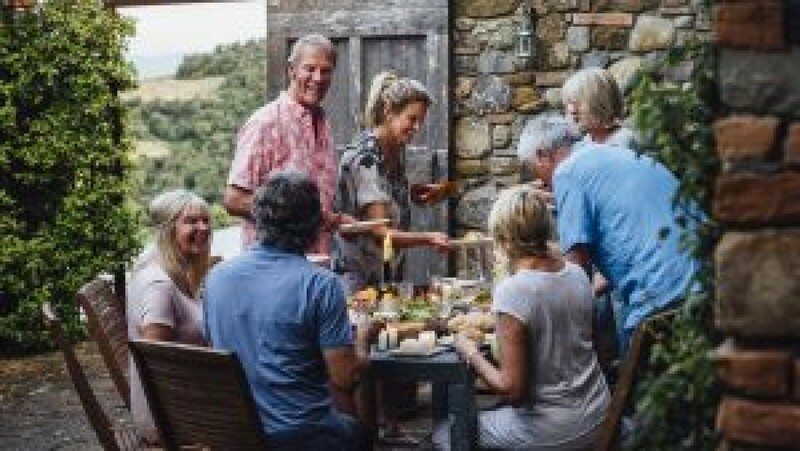 The post Potlucks for Boomers: 6 Creative Ideas for Hosting a Culinary Connection appeared first on Best Homecare Tips. I went on my first diet when I was 14. I had been a gymnast and a diver when I was younger, and as I slipped into the more sedentary life of a teenager – and my body entered puberty – I started worrying that I weighed too much. I came by it honestly. My mother went on a diet every Monday morning for most of my childhood. By Thursday, we were eating cookies and ice cream for dessert again and her weight – which I actually never noticed – didn’t change much. I became a runner in my 30s and for years that allowed me to eat what I wanted to eat and stay within a comfortable weight range for myself. It wasn’t really until menopause that I entered another phase of having trouble keeping weight off. I’m almost embarrassed to say that it took me that long to realize that the number on the scale, the shape of our body and how we feel about that shape is not something we can fix or correct or change with a short-term eating plan. As trite as it may sound – and as many times as we’ve heard it – being fit really is about how we live, not about how little we can manage to eat or what we put into our mouths. More than anything, fitness is a result of paying attention to what and how much we eat, moving our bodies every single day, enjoying a mix of good, healthy foods and making this a lifetime commitment, not a short-term fix. More and more, fitness and weight loss plans are getting on board with the approach of paying attention by providing computer apps that help you track what foods you consume each day. This makes it infinitely easier than writing down each granola bar and chicken breast you eat, but the idea is the same. It keeps you accountable to yourself. If you know you are going to record what you eat, it makes you pay attention. After a few days of noting what you’re consuming, you start thinking about food before you eat it. Do I really want to have to write down that I ate a half a box of Wheat Thins? Maybe I’ll have a sliced apple instead. Most of the programs give you a range of calories or points for food items based on your objectives so you know that if you stay within that range, you can achieve your goals. You don’t have to run marathons to get in shape or stay there. You need to move every day and you need to gradually increase that movement when you’re ready. If it’s been awhile since you’ve walked around the block, try a half a block. Let’s face it – it’s better than sitting on your couch. Researchers believe that as we age and begin to feel that our bodies aren’t as capable as they once were, it may have more to do with the fact that we stop moving than it does with actual decline. Keeping our bodies going, including some kind of cardiovascular movement and some kind of weight-bearing exercise, is what we need to get through the long haul. The cardio keeps our blood flowing and the weight-bearing work builds muscle and bone density. We all need that whether we’re trying to lose weight or gain it. For most of us, when we start thinking about losing weight or getting into better shape, we immediately think of having to eat foods that are “good” for us, and nothing that is delicious. Although it’s not a good idea to live on hot dogs and French fries, it’s the balanced diet that will allow us to make this a lifestyle and not just a quickly failing, one-shot venture. We all know that it’s a good idea to eat fruits and vegetables, lean protein and fiber, and it’s easier than ever today to follow this guideline. Grocery stores even sell packaged meals that are both fresh and frozen. The good news is that you can also have a treat every once in a while, especially if you’re paying attention to what you’re consuming and how much of it you’re eating. I wish my mother had lived long enough to realize that we all struggle with staying healthy and fit and that no new diet plan is going to change that. We need to be smart and realistic about our weight and our fitness and there’s plenty of help in the world these days to get there. Look around online and find a good app for tracking what you eat. Find out which works best for your lifestyle. What “treat” foods do you have trouble moderating? Maybe try keeping smaller containers in your cupboards, but still let yourself have a little bit now and then. 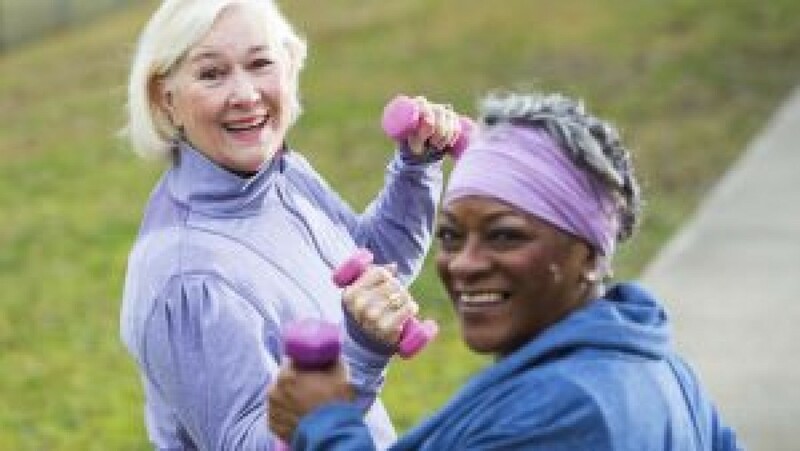 Meet with a friend who also wants to get into better shape and make a health plan together. Who would be a good partner as you embark on this new lifestyle? The post Fitness After 50 Isn’t About the Number on a Scale appeared first on Sixty And Me. The post Fitness After 50 Isn’t About the Number on a Scale appeared first on Best Homecare Tips. As clients transfer from acute and/or post acute care settings back into the communities, the process can be fragmented and as a result this can be detrimental to clients with complex care needs. Transitional care is there to prevent the care gap that exist between the “handoffs” from the hospital to the outpatient care teams. 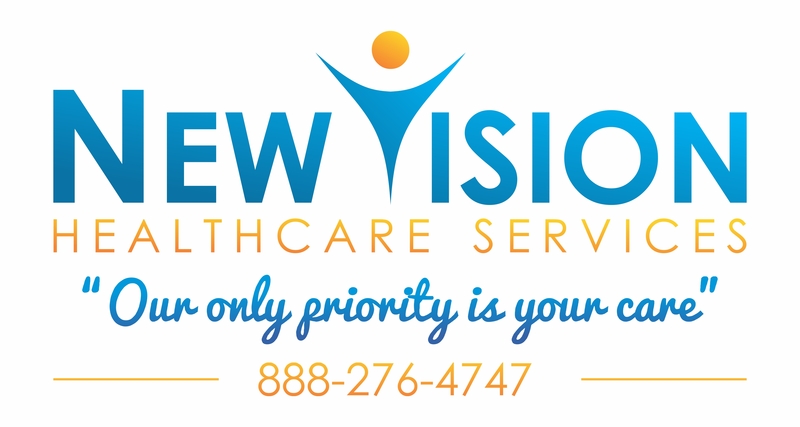 Our well trained and experienced advanced level nurses and nurse practitioners will connect the pieces from the acute and/or post acute care settings accurately. 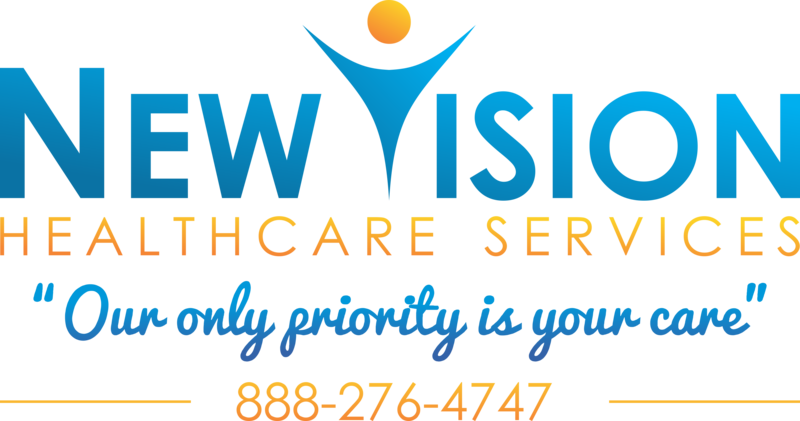 Our goal is to safely link clients back into the communities in a safe manner through coordination with inpatient, outpatient care teams along with family members. Our comprehensive plan of care is design to prevent unnecessary readmissions.